Through compelling client testimonials and expert guidance from renowned researchers at the Dartmouth Psychiatric Research Center and the Department of Veterans Affairs National Center for PTSD, this video educates clinicians, clients, and families on the history, epidemiology, challenges, and treatment of post-traumatic stress disorder (PTSD). Sample cognitive-behavioral therapy sessions between counselor and client model realistic applications of the concepts presented. 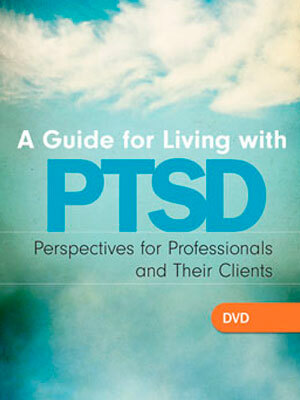 This DVD can work hand in hand with “Cognitive Behavioral Therapy for PTSD: A Program for Addiction Professionals ” (SOLD SEPARATELY), a CURRICULUM MANUAL and CD-ROM with Client Worksheets that helps addiction professionals use this treatment model with clients who are suffering from addiction and PTSD.